Language and Life in Southern Appalachia – The people of Southern Appalachia survived for centuries in a rugged and remote landscape. Their historic isolation promoted the development of culture and language apart from mainstream America. Today they are connected with the world, but the unique qualities of their culture have been sustained, and quick wit, good humor, and a way with words remain a definitive part of mountain life. 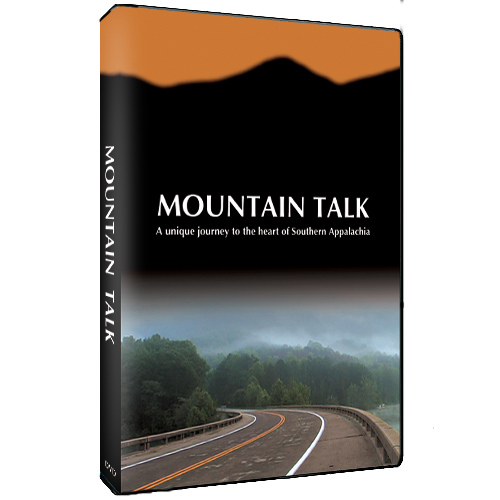 In Mountain Talk, songs, stories, and conversations convey the shared sense of place and identity that continues to define mountain people. The people of Southern Appalachia tell the story of their diverse mountain culture and dialect in this popular film. Featuring Popcorn Sutton, Mary Jane Queen, Orville Hicks, Jim Tom Hedrick and many others, with back-porch music performed by Henry Queen, Mary Jane Queen, Gilford Williams, Rufe Sutton, Leon Wells and many others. Narrated by award-winning playwright and author Gary Carden.